Though Texas has required state agencies and their contractors to verify the employment eligibility of their workers since 2014, efforts to put teeth behind that mandate failed again during the recent legislative session. While the Republican-dominated Texas Legislature passed a sweeping immigration-enforcement bill earlier this year, lawmakers passed on the chance to increase oversight of a rule requiring state agencies and their contractors verify the employment eligibility of their workers. 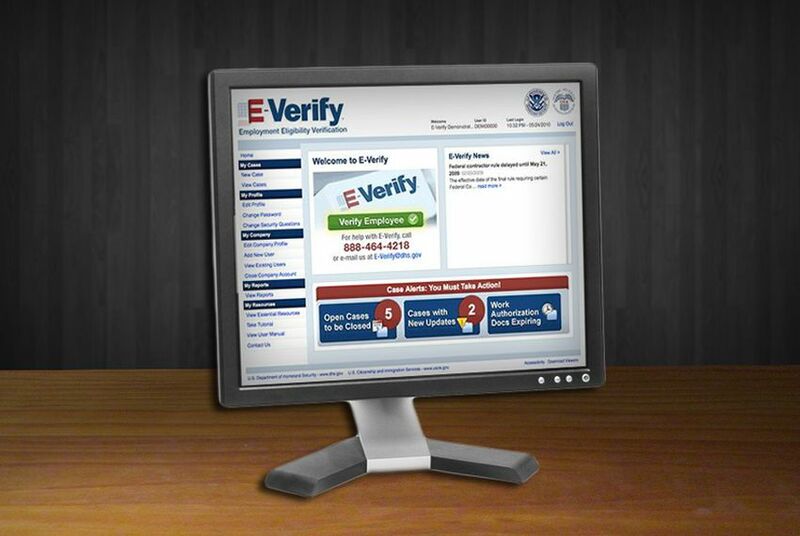 Since 2014, state agencies and the companies they contract with have been required to use the federal government’s E-Verify system, which screens for undocumented or ineligible workers by scrutinizing the information applicants submit to employers. But two legislative sessions later, a state agency has yet to be assigned to oversee compliance, and it remains unclear what, if any, penalties agencies and contractors face for failing to use the system. The 2014 policy came about when former Gov. Rick Perry issued an executive order an executive order requiring state agencies under the purview of the governor’s office and the companies they contract with to use E-Verify. But the order didn’t put any agency in charge of enforcing the mandate, and agencies and contractors operated on the honor system. The following year, lawmakers passed Senate Bill 374 from state Sen. Charles Schwertner, R-Georgetown, which required all state agencies to use the screening tool. But that also lacked any enforcement or punishment. This year, Schwertner filed a follow-up bill, SB 23, that would have penalized contractors who went around the E-Verify mandate or stopped participating in the program during the term of the contract. Those businesses would have been barred from entering into contracts with the state for five years. But SB 23 never made it to Gov. Greg Abbott’s desk despite being designated as one of Lt. Gov. Dan Patrick’s priorities. At the same time, the Legislature's conservative bloc successfully ushered through SB 4, a broad and controversial immigration-enforcement measure that would outlaw “sanctuary” jurisdictions in Texas and allow local law enforcement officers to question the immigration status of people they legally detain or arrest. Some lawmakers said that after the SB 4 debate, which Capitol observers and lawmakers described as one of the most emotional and contentious in recent memory, there was little appetite to move the needle on any additional immigration-enforcement measures. “SB4 put the body on edge, I’d say,” said state Rep. Charlie Geren, the Fort Worth Republican who carried the bill in the House. Geren did highlight two separate bills that passed, one to keep the Texas Railroad Commission operating and one that does the same for the Texas Department of Transportation, that adopted provisions that businesses that contract with those agencies use E-verify. But those very same agencies are in charge of implementing those E-verify policies, which some lawmakers said was no actual oversight at all. Geren said he’d like to assume agencies and their contractors are already hiring people who are legally allowed to work but that lawmakers can look into the policy again next session. “I hope they’re doing it, and I think we’ll look forward to pushing that a little bit further next session,” he said. Democrats argue that E-Verify is unlikely to be heavily enforced or expanded to the private sector as long as Texas businesses continue profiting from cheap and unauthorized labor. “The Texas business community knows that they’re not ready to handle E-Verify on a grand scale,” said state Rep. Ramon Romero, D-Fort Worth. He added that doing so would disproportionately harm Hispanic workers that pay taxes and contribute to the state’s economy. “The business community knows that and the cities know that, counties know that,” he said. The National Conference of State Legislatures ranks Texas in the middle on the enforcement scale when compared with other states in the country. That’s above dozens that have no E-Verify policy at all, and below the states that require the policy for all employers. Polling in Texas shows that most voters approve of employment screenings. In 2013, the year before Perry issued his executive order, a University of Texas/Texas Tribune poll found 83 percent of respondents supported requiring employers check the immigration status of employees. Only 13 percent opposed and 4 percent weren’t sure. To fight anti-"sanctuary" bill, Democrats may highlight "sanctuary industries"